Why President Obama was right to grant Chelsea Manning clemency. Edward Snowden should not expect similar treatment. 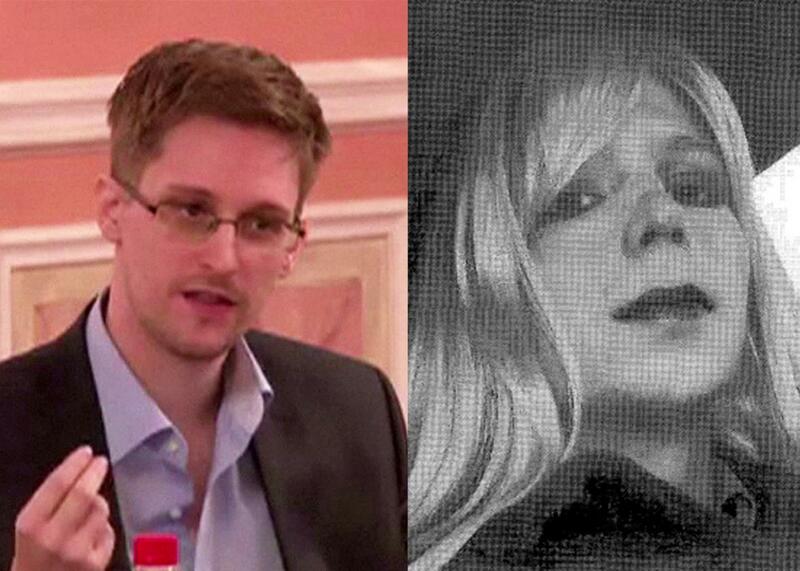 The differences between Edward Snowden and Chelsea Manning are considerable. President Obama’s decision to commute Chelsea Manning’s sentence from 35 years to time served plus 100 days—or about seven years, in all—is a reasonable act of mercy, well within established practices and even, under the circumstances, within the standards of Army regulations. However, if Edward Snowden, the era’s other superleaker, is packing his bags in anticipation of a similar stroke of leniency, he should relax and settle in for another cold Moscow winter. This critique is overwrought. First, the presiding judge in Manning’s case, Col. Denise Lind, found her not guilty of “aiding the enemy”—the Army prosecutors’ most serious charge, which could have carried the death penalty. Second, the most highly classified documents in Manning’s cache were marked “secret”—the second-lowest label in the security world—and many were deemed “unclassified but sensitive.” These were not crown jewels by any stretch. Finally, a damage report conducted by military intelligence officials concluded that Manning’s leaks caused no great harm to U.S. national security, according to officers who read the report. Manning’s most headline-grabbing leak—and the one that most qualified as an act of whistle-blowing—was a suppressed video of a U.S. helicopter attack in Baghdad that killed two Reuters photographers, whose cameras were mistaken by the pilots for firearms, and several Iraqi civilians in a van who had stopped to help them. (The incident occurred near an actual insurgent attack on American soldiers.) Most of the other documents were diplomatic memos that revealed nothing immoral or criminal but whose release caused embarrassment and, in a few cases, brief setbacks to relations with American allies. In the [civilian] criminal law system, some basic objectives are to discover the truth, acquit the innocent without unnecessary delay or expense, punish the guilty proportionately with their crimes, and prevent and deter further crime, thereby providing for the public order. Military justice shares these objectives in part, but also serves to enhance discipline throughout the Armed Forces, serving the overall objective of providing an effective national defense. By that standard, a member of the U.S. armed forces who violates military law is to be punished to the max, regardless of its consequences. Under Army sentencing guidelines (which are enforced with wide variation), the judge could have put Manning away for 90 years; Army prosecutors urged her to do so for 60 years. Manning’s lawyers pleaded for 20 years. In context, then, the sentence—35 years, with possible parole in 10—seemed a compromise. However, presidents can set their own context when pondering applications for clemency. By that standard, 35 years seems extremely excessive, much longer than the time anyone—civilian or military—has spent in prison for leaking documents. For example, Jonathan Pollard, one of the worst traitors in American history, who leaked jaw-dropping classified documents to Israel (whose agents may have given some of them to Russia, in exchange for more liberal policies on Jewish emigration), was released from prison after 30 years. Though White House officials haven’t said so, Obama may also have considered Manning’s discomfort and depression—she has tried to die by suicide at least twice—as the only transgender woman in an all-male Army prison in Fort Leavenworth. If so, even U.S. Army regulations allow for the possibility of a reduced sentence. Army Regulation 15-130, which deals with clemencies and paroles, contains a passage, in Section 3-2.a(4), which states that the Army Clemency and Parole Board may consider a prisoner’s “psychological profile” and “medical condition,” including his or her “need for specialized treatment.” Manning’s profile, including her need for hormone treatments, could fit that bill. In any case, it is hardly an outrage for Obama to let Manning go free in May. Nor could any calculating soldier see her release as incentive to leak hundreds of thousands of documents. Seven years in prison is a tough sentence, especially for the kinds of documents that Manning spilled. However, this analysis is shallow. First, Obama didn’t pardon Manning but rather commuted her sentence, an act that reflects mercy or a correction of excessive punishment, not approval of her crime. Second, the “problem” with the leaking of the Clinton campaign’s emails—and it’s not just Democrats who have a problem with it—is that, according to the entire U.S. intelligence community, they were stolen by Russian hackers, in an operation directed by Vladimir Putin, for the purpose of undermining the American election process and helping Donald Trump win. WikiLeaks has nothing to do with it except to the extent that it acted as the Kremlin’s witting agent. Second, the documents Snowden leaked are among the most highly classified, and most truly sensitive, in the entire U.S. government. Only a few of them—those revealing the extent of domestic surveillance conducted by the National Security Agency—could fall under the rubric of whistleblowing, and if that were all he leaked, it would be reasonable to call for a deal to reduce his sentence. However, his cache of documents also detailed the NSA’s interception of Taliban fighters’ emails and cellphone calls in western Pakistan, an operation to gauge the loyalties of CIA recruits in that same country, NSA surveillance of terrorist networks worldwide, NSA hacking of computers in China and Hong Kong, the CIA’s highly classified line-item budget—and these include just some of the stories in the Washington Post and the Guardian that were based on Snowden’s documents. Officials who conducted the 14-month-long damage report on Snowden’s activities say he also downloaded thousands of documents—though it’s not known whether he gave them to reporters or anyone else—that mapped the U.S. intelligence community’s entire global network, including specific information about all the computers that the NSA had exploited. This is what the NSA does. Its chartered mission is to intercept foreign countries’ communications and signals intelligence. Whatever one’s views about American espionage or the foreign policies it supports, these are all legally mandated, congressionally approved activities. Except for his disclosures about domestic surveillance (which are hardly trivial), the documents that Snowden pilfered far exceed the boundaries of whistleblowing. And no American president, not even the most avid upholder of civil liberties or opponent of abuse, could tolerate that. Finally, there is Obama’s pardoning of retired Gen. James “Hoss” Cartwright, former vice chairman of the Joint Chiefs of Staff—the nation’s second-highest ranking military officer. In the summer of 2013, Cartwright came under investigation for leaking secrets about Stuxnet, the still–highly classified joint U.S.-Israeli cyberoffensive operation that sabotaged Iran’s uranium-enrichment activities at the Natanz nuclear reactor. This past fall, the Justice Department charged Cartwright not with leaking secrets but with making false statements to law-enforcement officials. (During the investigation, he at first told FBI agents that he had not spoken with a New York Times reporter about Stuxnet, when in fact he had.) This month, prosecutors announced they would seek a two-year prison sentence for the retired Marine four-star general. Obama pardoned Cartwright in light of his long service to the country and for his honest service to him personally. (David Sanger, the Times reporter who uncovered Stuxnet, also wrote a letter to Obama, claiming that Cartwright was not his main source and in fact had guided him on what not to disclose about the program.) For a brief time in his tenure as the JCS vice chairman, he was known as “Obama’s favorite general,” especially for his forthright skepticism about the Afghanistan war, which earned him the wrath of his Pentagon colleagues. Obama was inclined to promote him to chairman but was dissuaded by then–Secretary of Defense Robert Gates, who told him—correctly—that a chairman needed the trust of fellow generals, which Cartwright distinctly lacked. Another reason for Obama’s leniency may have been a desire to avoid double standards. In 2015, another retired general, David Petraeus, pleaded guilty to the same crime—making false statements, in his case to FBI agents investigating whether he’d shown classified material to his mistress and biographer, Paula Broadwell—and, in exchange, was charged with a misdemeanor, probation, and $100,000 fine, but no jail time.